Abercrombie & Fitch also referred, as A & F is a retailer that puts forward casual wear for youngsters, especially for people belonging to age group of 18 to 22. It has its headquarters in New Albany Ohio, with stores in over 300 locations. There are three subsidiary branches of the company namely Gilly Hicks, Hollister Co., and Abercrombie Kids. The company refers to its headquarters by the name of 'The Home Office', and its merchandise distribution centers are primarily located on campus for ensuring brand protection. The company focus on offering trend-driven designs and clothing for the young generation and it promotes its signature jeans heavily. There are currently 3 consumer reviews about Abercrombie & Fitch available. Share your review. Order was cancelled 7 days after placing it online, when I called to see why they said the customer requested it. I explained to them that I was “the customer” and did not request for the order to be cancelled (7 days later) but they insisted I did. Asked for the order to be placed again & they kept saying my payment would not go through. Had to call my credit card company & they told me Abercrombie never submitted the payment from the start. Eventually, I had to have the credit card company call Abercrombie & verify there was no issue with the credit card only to find out the Abercrombie representative Bill (employee # 1711) was entering my credit card number incorrectly even after I repeated it to him several times. Asked to speak to a Supervisor & was denied. Overall, I was on the phone trying to resolve the issue for 1 hour 20 minutes which is ridiculous. Although my daughter loves their clothes I will never buy from this company again. Worse customer service I have ever experienced!! Horrible, rude, nasty, argumentative, obstructionist. All i did was call to tell them that i was getting six unwanted emails a day from them, and please remove me from their list. After a half dozen tries at trying to find one reasonable person i am resolved never to shop there again. Absolutely appalling! Why are they ARGUEING with me? I was so upset that i called the corporate office trying to reach customer service and was told that they were not allowed to put thru any calls. When i asked if there was anyone else i could speak to, the operator hung up on me. This is nuts! All i wanted was my name removed from an email list. My name is Iveth Stone and on 4/20/13 I was shopping at one of your stores in Streets of Southpoint, Durham, NC. My total purchase in your store was $246.18, in which I purchased an 8 Perfume (1.7oz) that cost $50. As I was going through my purchases at home I noticed that the perfume was missing. I called the store to tell them and one of the managers told that they had "asked" and no one saw anything, she was very dismissive. I gave the manager all of the information necessary, including the cashier number. I have been a very loyal customer for over 10 years to be treated this way. I live an hour and forty-five minutes away from Durham, therefore not able to go whenever I want. Your prompt response is appreciated. 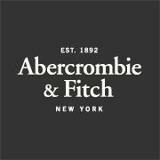 Please take a note that you are about to post a public review about Abercrombie & Fitch corporate office on CorporateOffice.com. This review will be public, so please do not post any of your personal information on this website. If you would like to contact the corporate offices of Abercrombie & Fitch, please use their contact information such as their phone number, website, and address listed above to contact them. However, sometimes staff from Abercrombie & Fitch headquarters do read the reviews on this website.